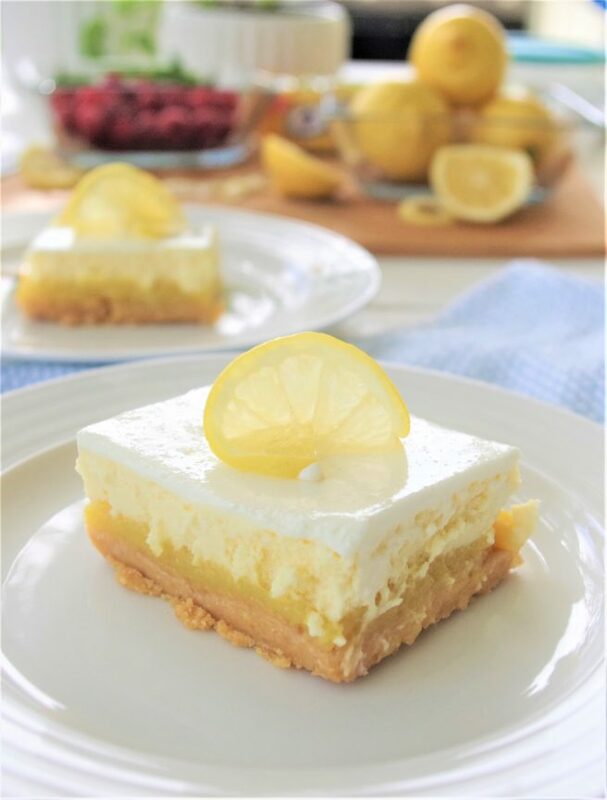 These scrumptious layered lemon cheesecake bars are a must make for Easter Dinner and Mother’s Day brunch! This EASY and yummy Spring and Summer treat recipe is for all of us who love all things LEMON! Layers of buttery lemon oreo crust, smooth lemon zested filling, creamy, light cheesecake and topped off with lusciously sweet sour cream. 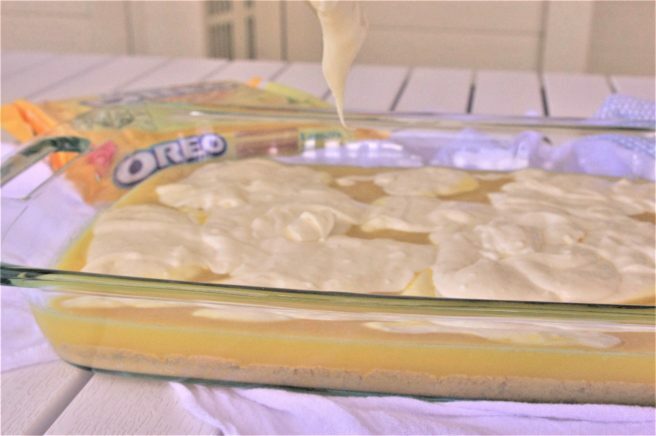 This is going to be your new favorite lemon dessert recipe for parties and family night! The hardest part about this crowd pleasing dessert is waiting for it to chill in the fridge while your mouth waters in anticipation. Make sure to PIN THE IMAGE BELOW – you’re going to want to keep this one handy for Mother’s Day Brunch, Memorial Day Picnics, 4th of July cookouts, family barbecues and potlucks ALL Spring and Summer long! Preheat your oven to 350 degrees and grease your 9 x 13 baking dish (I use a smear of butter on a napkin). 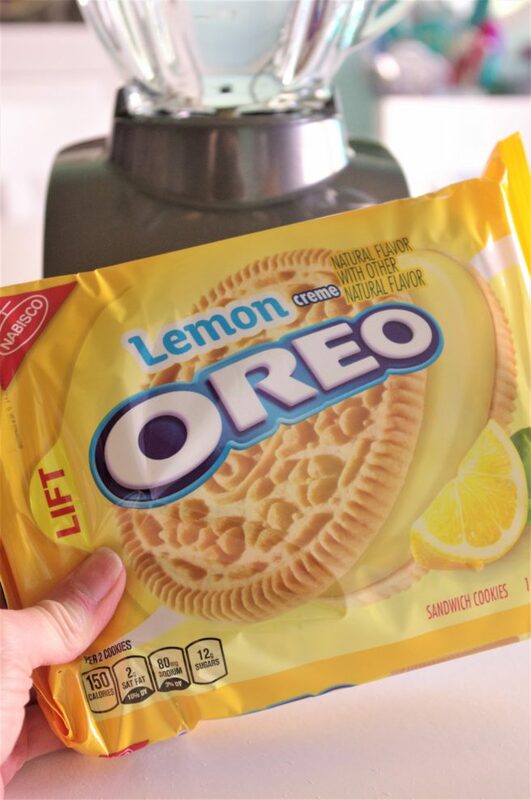 Let’s make the lemon oreo crust! Or just shove them all in a large ziplock bag and smack the crap out of them with a hammer/mallet/meat tenderizer…whatever works for you! 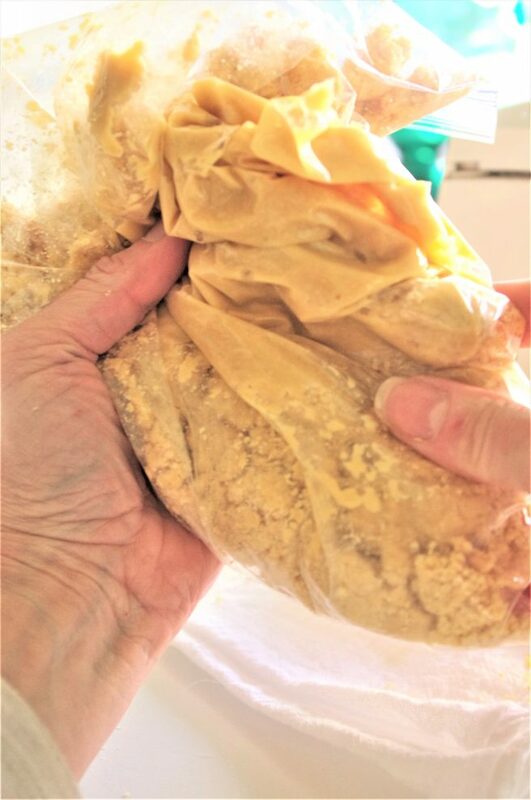 Add the crumbs and the 6 tablespoons of melted butter (I microwaved my butter for 40 seconds in a coffee mug) into a large ziplock bag and mush and mix it all together real good. In a mixing bowl let’s get the lemon layer started! Using a wire whisk by hand, whisk together sugar and flour. Then add in lemon zest, lemon juice and the eggs. Whisk until they are well blended and set this mixture aside. RESIST THE URGE to pour it over your crust just yet. It will just soak into the crust, so put it aside and let’s move on to our cheesecake filling layer to keep you from making bad decisions. In a mixing bowl (use your stand mixer or electric hand mixer) set on low speed, cream together the softened cream cheese and granulated sugar until smooth (about 30 seconds is all). Mix in your eggs ONE AT A TIME, mixing the first in and then adding the second along with the vanilla. Now mix in your sour cream. Tap your bowl against the countertop 10 times to release any large air bubbles that might have formed. NOW you can get to pouring your layers! It will all level out nicely on its own or you can tip your dish side to side to help it along. Skim off any air bubbles that might have formed with a spatula. Bake it in your preheated oven at 350 degrees until it only jiggles SLIGHTLY, about 30-36 minutes depending on your oven. Remove it from the oven and turn the temperature of your oven down to 325 degrees. In a small mixing bowl, use a wire whisk by hand to mix together your sour cream and powdered sugar. 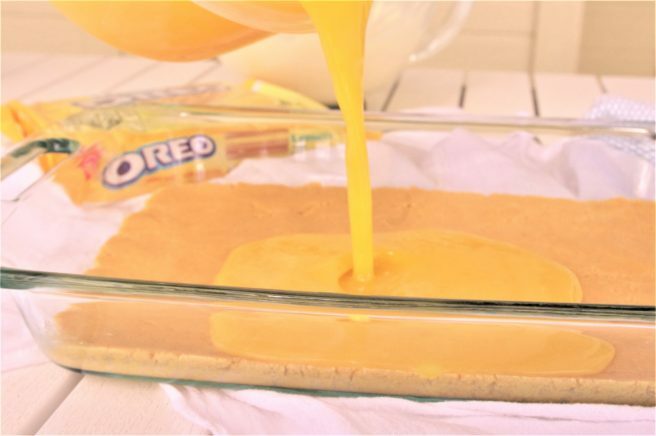 Once your oven has cooled to 325 degrees, spread your topping evenly over the top of your bars and bake for 10 minutes. Remove from oven and allow your bars to cool to room temperature (about 45 minutes). Chill uncovered in the refrigerator for at least 2 hours. After 2 hours, if you aren’t serving it right away, cover your bars with plastic wrap or a lid. 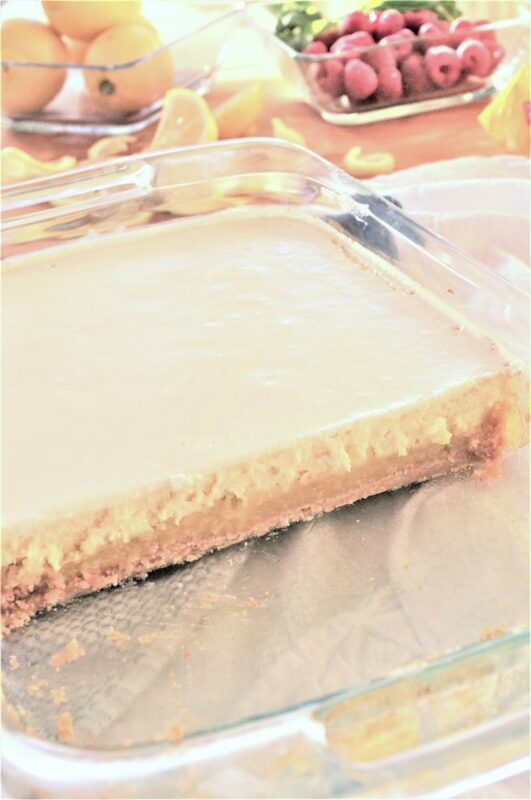 Cut into pretty squares, serve and enjoy the “ooos” and “aaaaahs” and many requests for your recipe! Did you forget to set your cream cheese out to soften and want to make this right now? 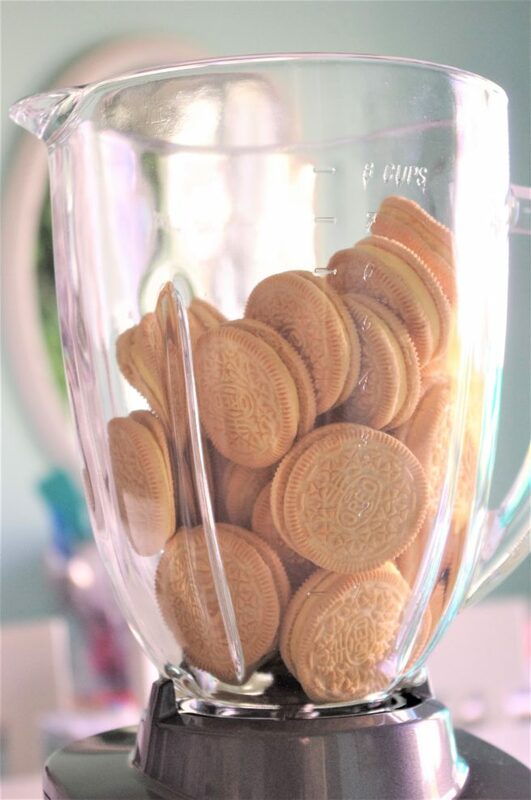 Here’s your new favorite baking hack! Here’s the printable version of this yummy recipe for your binder of favorites! 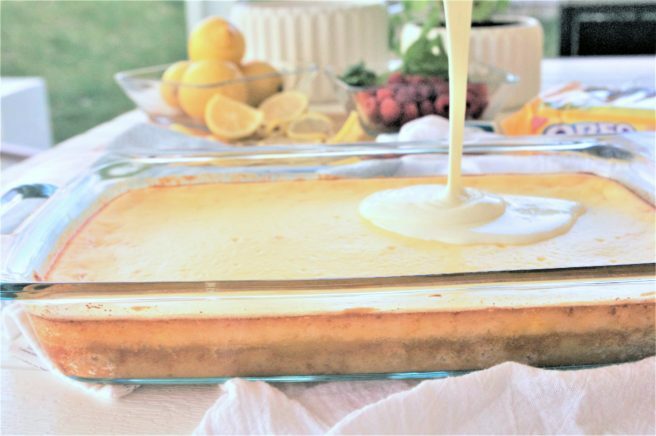 Layers of buttery lemon oreo crust, smooth lemon zested filling, creamy, light cheesecake and topped off with lusciously sweet sour cream - the perfect dessert bars for Spring and Summer parties! Using a wire whisk by hand, whisk together sugar and flour. Then add in lemon zest, lemon juice and the eggs. Whisk until they are well blended and set this mixture aside. RESIST THE URGE to pour it over your crust just yet. It will just soak into the crust, so put it aside and let's move on to our cheesecake filling layer to keep you from making bad decisions. Pour the lemon filling over your crust. It will all level out nicely on its own or you can tip your dish side to side to help it along. Skim off any air bubbles that might have formed. 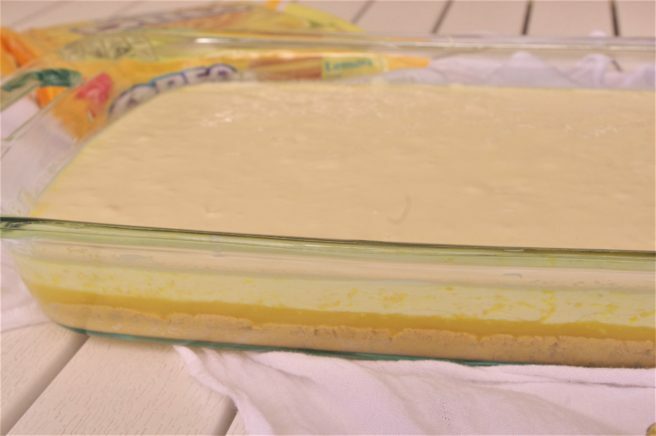 Pour your cheesecake filling on top of the lemon layer and gently spread it out evenly from edge to edge. I use a silicone spatula to gently spread it nice and even. Remove from oven and allow your bars to cool to room temperature (about 45 minutes). Chill uncovered in the refrigerator for at least 2 hours. After 2 hours, if you aren't serving it right away, cover your bars with plastic wrap or a lid. 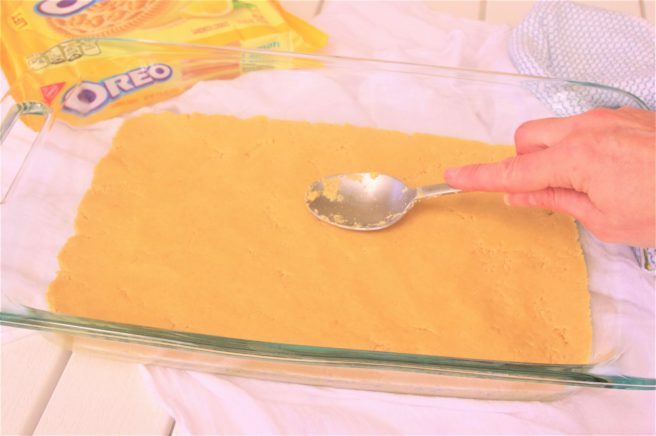 Cut into pretty squares, serve and enjoy the "ooos" and "aaaaahs" and many requests for your recipe! 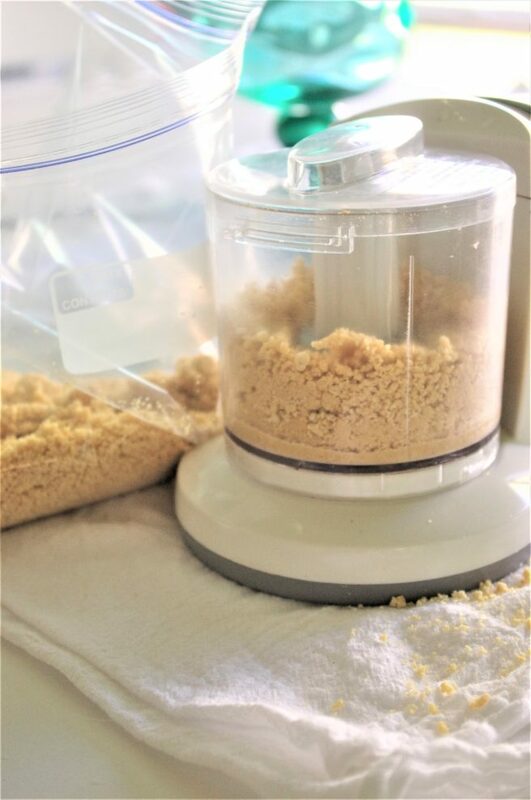 You can also make this with a graham cracker crust - but you will really be missing out! Make sure to PIN THE IMAGE BELOW to save it for all of your upcoming Spring and Summer parties, family nights and celebrations! 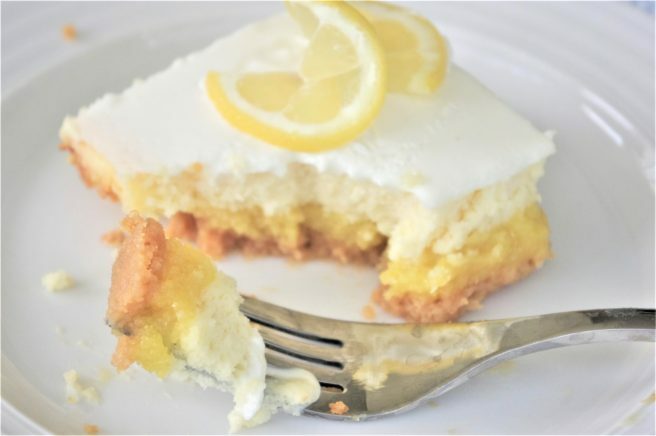 Don’t forget to SAVE, PIN and SHARE this yummy recipe with your lemon loving friends. Enjoy!